Stitching Traditions Quilt Shop has been spreading the love of sewing and quilting to the Topeka, Kansas area since 1997. It opened up under new ownership in May of 2005 and has been growing by leaps and bounds. 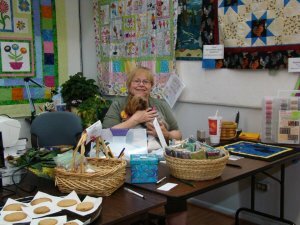 Since the re-opening, we have tripled in size and inventory, added dozens of monthly classes and clubs and collected a staff of knowledgeable sewers and quilters ready to help our customers with their needlework projects. 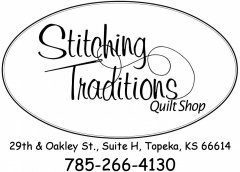 At Stitching Traditions Quilt Shop, our goal is to be the most friendly and fun quilt and fabric shop in the area. Stop by today and meet Roxie, our little furry mascot.